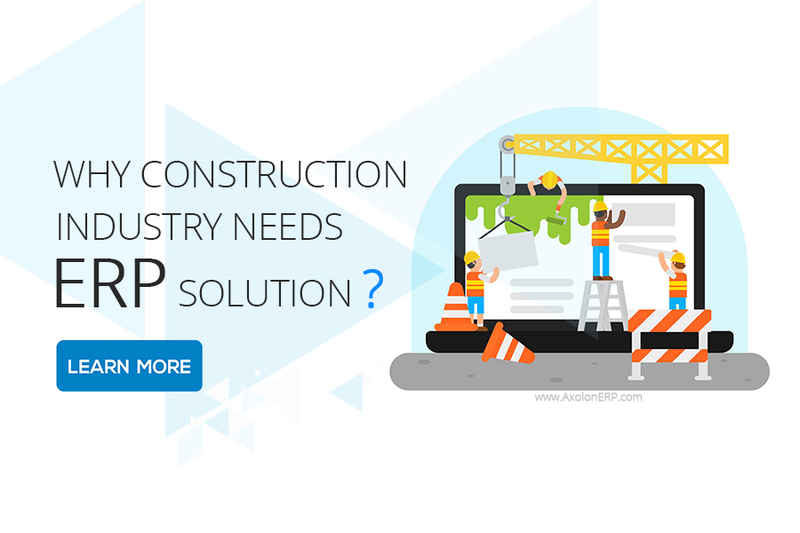 Why Construction Industry needs ERP Solution? 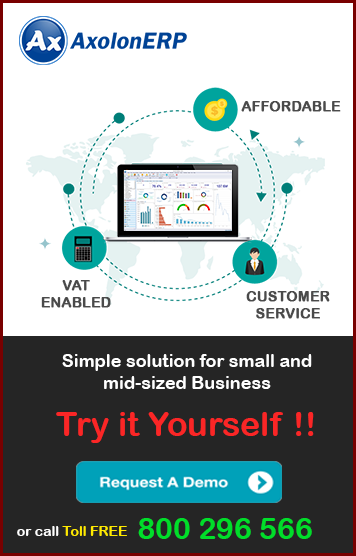 ERP is a computerized solution for all kinds of business processes; hence, the belief that the ‘ERP-thing’ is relevant to the offices and the so-called ‘white collar’ is nothing more than an urban myth. Every business, irrespective of its nature and scale can benefit from the ERP Solutions and this post will be concentrating on the Construction Company ERP solutions and why does the industry need it. Before we move ahead, let us understand What is Construction ERP. The ERP solutions that have been optimized and tailored to be applied in the construction industry are called the construction ERP. Like every other business, the construction industry has also experienced lots of changes with the introduction of technology and advancement of machinery. The modern equipment and machinery; the high-end technological gears and construction elements; from hammers to fitting – everything is better and smarter. And to make your smart and modern business all the more profitable and streamlined, Construction ERP Modules are there. Where the Construction ERP Modules are applied and what are their benefits? Apart from the above-mentioned uses of the Construction ERP Implementation; there can be as many as one wants and can work for. It is better to record the transactions, maintaining the logs and doing all the tracking and managing activity via modern tools that can be done electronically; then to keep the daybooks, small papers and notepads. Construction ERP Implementation will lead to less clutter and a better organized business that yields better profits and the higher rate of project completion. Better management of funds and cash. Streamlining and standardizing of all the business processes. Maximum utilization of all kinds of resources. Better and easier log maintenance, project issues resolution file and other such details. Average inventory is managed better and gets reduced considerably. Wastage is minimized in all areas; be it raw materials or money or manpower. The Construction Company ERP tools offer metrics and dashboards for monitoring each level of project progress. Every level of the project is ensured better accountability with the ERP implementation in Construction Business. Managing the project timeline and keeping the milestones on time becomes easier with the Construction Company ERP tools. All the departments and entities that drive the construction business can communicate more effectively and the whole system works as an integrated entity. Costs are minimized and quality assurance and punctuality along the project completion line is ensured. As the customer requirements are quickly responded to, the enquiry conversions are increased which in turn translates into better revenue and more business. Direct savings in the business are assured. Track and manage the project budget. The Construction Company ERP solutions make the overall work easier and maximize the quality. Construction Company ERP – Which one is the BEST?? There are hundreds of Construction ERP Modules available online for free. All you have to do is download them and choose the basic settings. But the efficacy and efficiency of these tools are limited and the numbers of ways they can make your business better are also limited. Also, as the free tools are released by the developers without complete assessment and testing and are made to work for different kinds of businesses, they come with redundant codes; dangling references and bugs etc which might pose threat in future to saved data and processes. Hence, choosing the right Construction ERP Modules is as important as choosing the right cement for the construction. Though the initial cost might make you raise your eyebrows, it is always better to have one quality tool that never fails you, is dependable like anything and is reliable just like your parents; then to have one that is free or cheap and might cause you loss in future. While making the purchase of the Construction ERP Modules, always go for the perfect ratio of price and quality and then take the decision. For, like every other investment, a careful thought process is bound to yield better results than impulsive acts.